We’ve always asked our kids to read. Informational text. Primary sources. Non-fiction. Fiction. Poetry. We’ve always asked our kids to write. Summaries. Research. Reviews. Reaction papers. At least, that’s been the theory. Good social studies and history instruction has always included these things but I think that sometimes we can forget how critical reading and writing skills are to what we do. The Common Core, for better or worse, has been a good reminder for us. We need to have our kids read, write, and communicate much more. The problem for many of us? Uh . . . what does that look like again? I like the word free. And because ReadWriteThink partners with some biggies in the ELA world – the International Reading Association, the National Council of Teachers of English, and ThinkFinity – you know the free stuff you’re gonna get is golden. 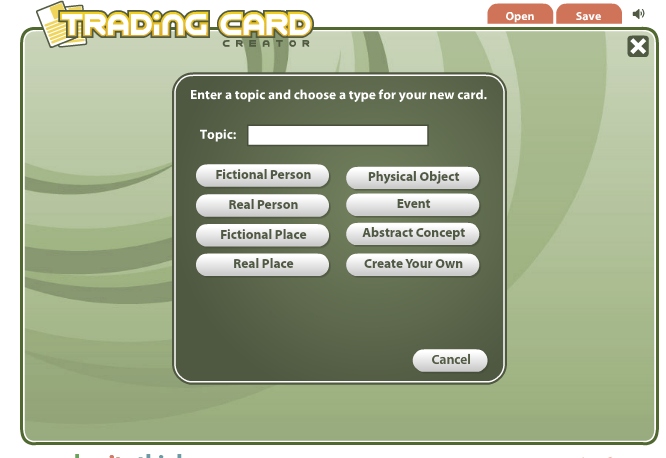 These cards are can be used with any type of book students are reading or subjects that they are studying, and make for an excellent pre-writing exercise for students who are writing narrative stories and need to consider characters, setting, and plot. 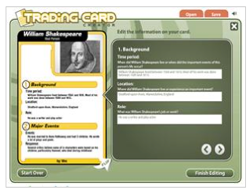 Specific prompts guide student through the various types of cards, expanding students’ thinking from the basic information and description of the topic to making personal connections to the subject. 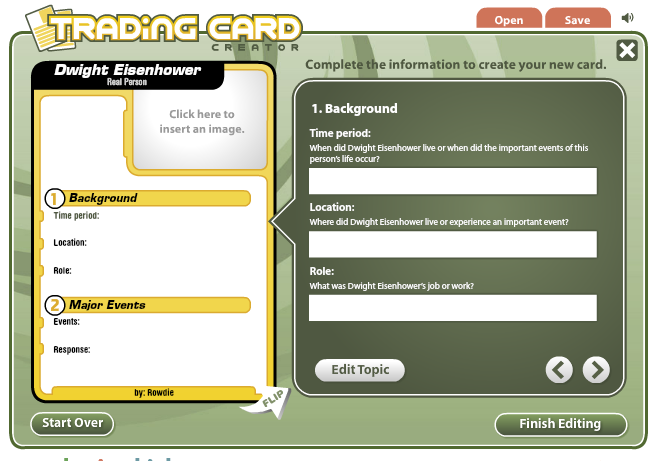 You could have kids use the tool to summarize a specific historical person or event. Have kids work in small groups to develop a series of cards that demonstrate change over time in the relationship between different historical groups or to highlight foundational knowledge they will use for further research. The tool also comes with a series of lesson plans tailored for grades 3-12 that you can use right away or modify to fit your own needs. So don’t be afraid of the big, bad ELA wolf who’s knocking on your door. Let him in. He brought snacks.